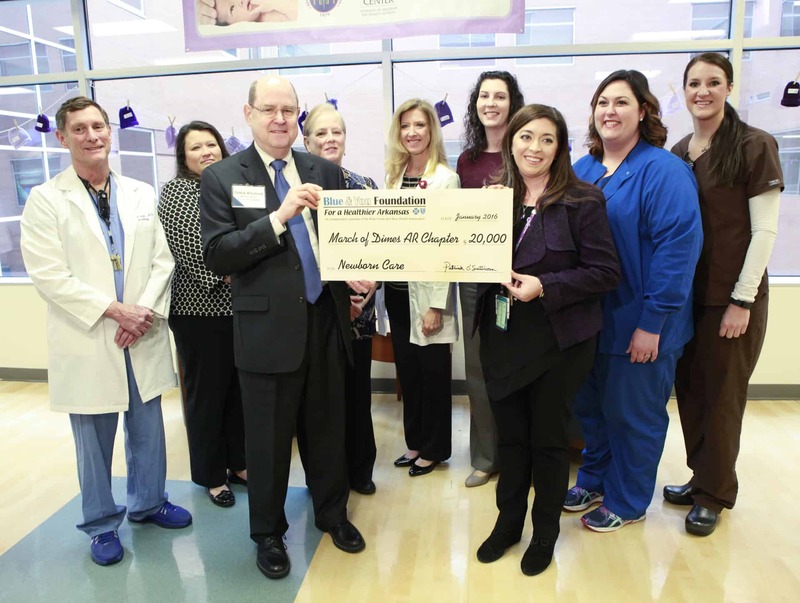 The Blue & You Foundation for a Healthier Arkansas awarded $20,000 to the Arkansas chapter of the March of Dimes, benefiting families of newborns in the neonatal intensive care unit at UAMS Medical Center. Pictured (from left to right) is Whitt Hall, M.D., Faith Sharp, March of Dimes, Patrick O’Sullivan, Blue & You Foundation, Ginny Smith, director of Women’s Health Services, Rebecca Sartini, Clinical Services Manager, Sara Peeples, M.D., Kristin Powell, March of Dimes, Allyson Honda, R.N. and Emily Gordon, patient educator. Feb. 11, 2016 | Feb. 11, 2016 | Families of newborns in the neonatal intensive care unit (NICU) at UAMS Medical Center will benefit from a $20,000 grant received today for its Family Support Program. The Blue & You Foundation for a Healthier Arkansas awarded the money to the Arkansas chapter of the March of Dimes to go to the support program. 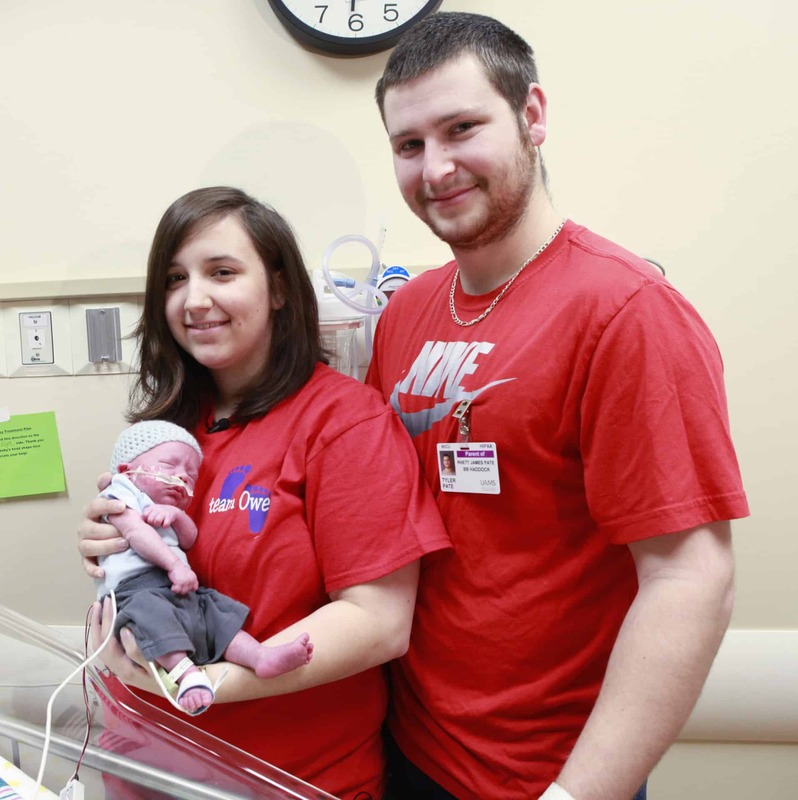 Through a joint effort of the University of Arkansas for Medical Sciences (UAMS) and the Arkansas March of Dimes, the NICU Family Support Program provides comfort, information and other care to families in crisis. “Blue & You is happy to help a program that is doing so much for so many families as they cope with the stress of having a newborn in intensive care,” said Patrick O’Sullivan, executive director of the Blue & You Foundation. In Arkansas, more than 5,000 babies are born prematurely, and the Arkansas chapter of March of Dimes provides families with programs and services in communities across the state. March of Dimes helps mothers have full-term pregnancies and researches the problems that threaten the health of babies. “Having Blue & You join March of Dimes and UAMS in its support of families with babies in the NICU here at UAMS Medical Center means being able to do even more for them in 2016 in a true partnership, thank you,” said Kristin Powell, March of Dimes NICU Family Support specialist. Bridgette Haddock of Greenbrier knows how vital the program is. Her son, now 2, was in the UAMS NICU in 2013. Haddock with son, Rhett James. 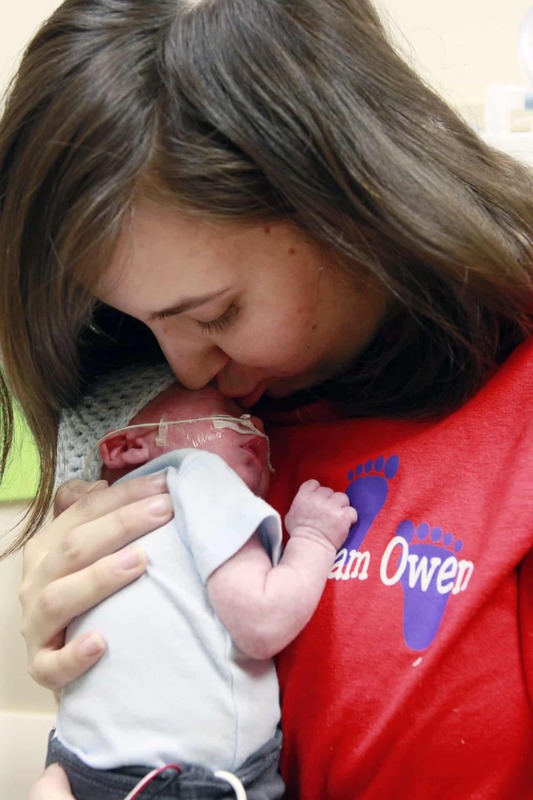 Her second son was born Jan. 16, and he also has needed care in the NICU. Haddock said the support and activities have been just as helpful for her this time, too. According to a study of eight March of Dimes NICU Family Support programs that was published in 2007 in the Journal of Perinatology, the programs had a positive impact on the stress level, comfort level and parenting confidence of families.